A cacophony of questions from Mrs Robinson to Jeeves and Wooster. The Picture Round is World Cup Golden Boot Winners and the Wild Card is on the Crazy Gang’s finest moment. Q03. Which early 20th century revolutionary said “A lie told often enough becomes the truth”? Q14. Which zesty band peaked at number 19 in the 1992 UK Singles Chart with a cover of Simon and Garfunkel’s Mrs Robinson? Q24. What is the surname of the brothers who won Gold and Silver for Great Britain in the Triathlon at the Rio Olympics? Q37. Which author’s books were adapted for the 1990’s TV comedy series Jeeves and Wooster? 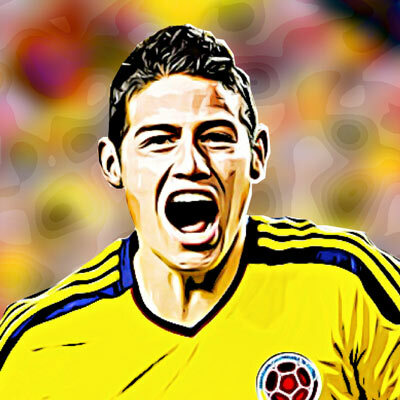 Quiz 086s Picture Round is World Cup Golden Boot Winners… we’ve given you a clue with the date, can you name the players? 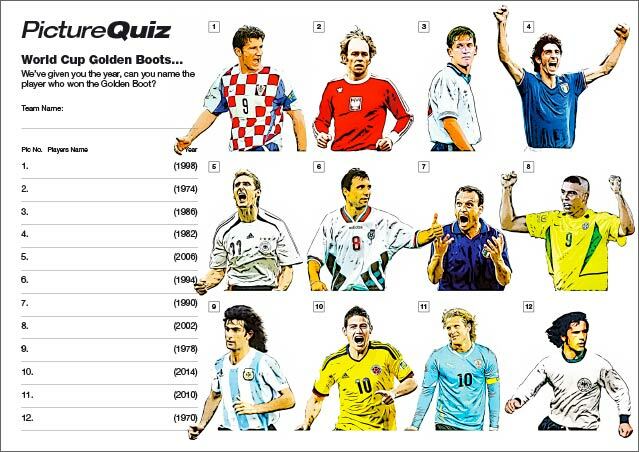 Above is a low-res sample of the Quiz 086s World Cup Golden Boot Winners Picture Round, click for a higher resolution version. The Picture Round download is a four page high quality PDF. There are two versions of the Picture Round… the first is as above, name the Golden Boot Winners. The second is slightly easier, we’ve named the player and the year you just have to match the illustration number. Both Picture rounds have a corresponding answer sheet. Quiz 086s Wild Card Question is a stat on the Crazy Gang’s finest moment, the 1988 FA Cup Final.